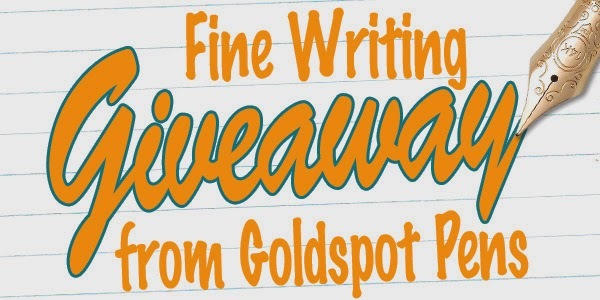 December's Social Pen Giveaway in in honor of our first-ever collaboration with Noodler's Ink. 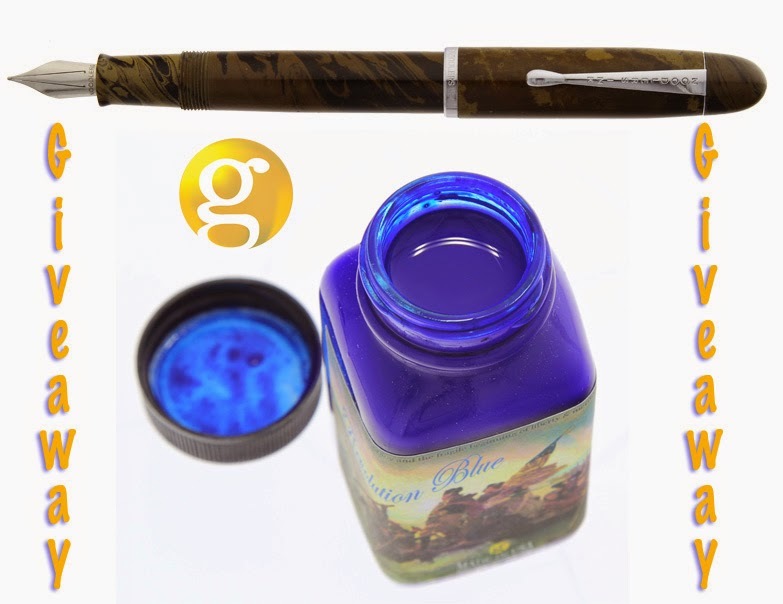 We're giving away one bottle of our new, retailer-exclusive Noodler's Revolution Blue 3oz bottled ink AND a Noodler's Neponset Briarwood Ebonite fountain pen. Besides the fact that all the Neponset music nib fountain pens have sold out everywhere, this one is a limited production of only 7 that were made in the Briarwood Ebonite. We want to hear your battle cry! For decades, digital devices have marginalized the use of handwriting and penmanship in schools and businesses. Today, we rise up to let the masses know that we will not go quietly into the inky night. Proudly carry your Daily Arsenal of pens in your pocket. Show off your Spencerian and flex those nibs if you've got them. Click over to our page on Facebook or Twitter. "Like" or Re-Tweet the link to the giveaway above (1 Entry per Twitter and/or Facebook Account). ...and that's it! We'll keep track of all the entries and then choose a fan using a random number generator to select one lucky winner. Deadline for Entries is Thursday, December 18, 2014 at 2p ET. We will contact the winner directly through either Facebook, Twitter or E-mail to obtain the shipping information and send out your Noodler's Neponset Pen & Noodler's Revolution Blue!